The trapeze trestle is a classical product used in the child gymnastics and school sports sector. Clear contours and lightweight features serve to facilitate easy handling while catering for a whole variety of different applications. 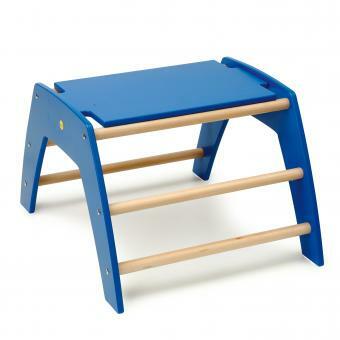 No matter whether the focus is on climbing, vaulting, crawling or balancing activities, a trapeze trestle poses ample challenge when used for role-playing games or fitness obstacle trails. The trapeze trestle is also suitable for use in conjunction with Erzi wave or roller slides.